Spare parts collected from the physics laboratory and skillfully assembled make up the midget atom smasher illustrated above that helps teach Columbia University students the effects of static electricity. 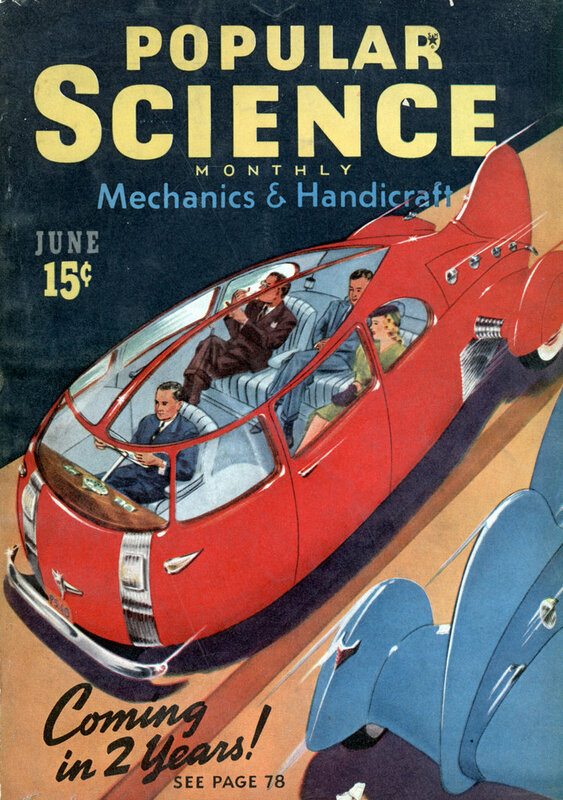 Built from commonplace materials, which include a rapidly moving belt of adding-machine paper onto which is sprayed a direct current of 750 volts, the thunderbolt apparatus is capable of producing charges of more than 300,000 volts and of hurling bolts of lightning a foot long between the spherical poles seen at the top. The device employs the principles of several machines used for advanced electrical research. I love how they use “atom smasher” to make it sound like they’re performing fission, when we’re actually talking about a Van De Graff generator doing nothing more than stripping atoms of electrons to create a static charge. 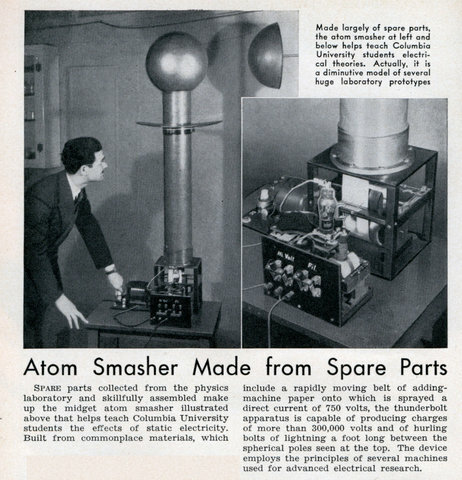 So it’s no longer used that way, but it was an “atom smasher” when properly set up. I like the first line “spare parts collected from the physics lab.” Sort of like collecting “loose change” from a bank vault.